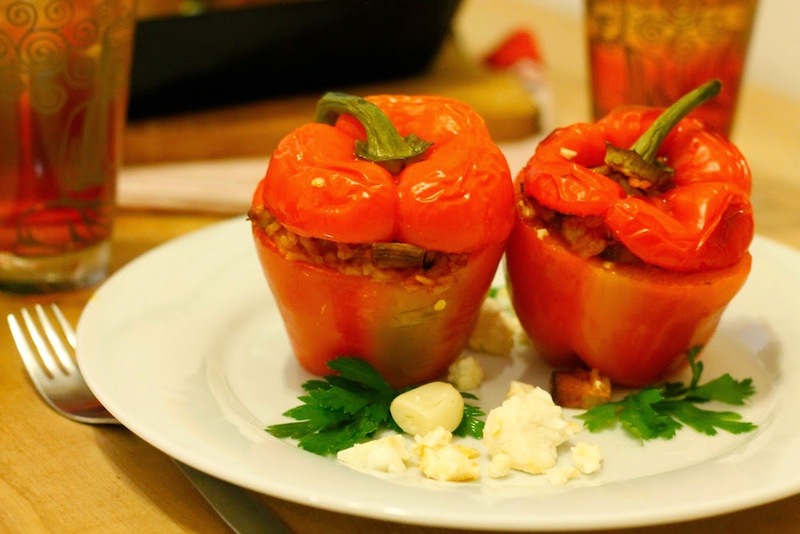 today I want to share a vegetarian recipe for stuffed peppers. 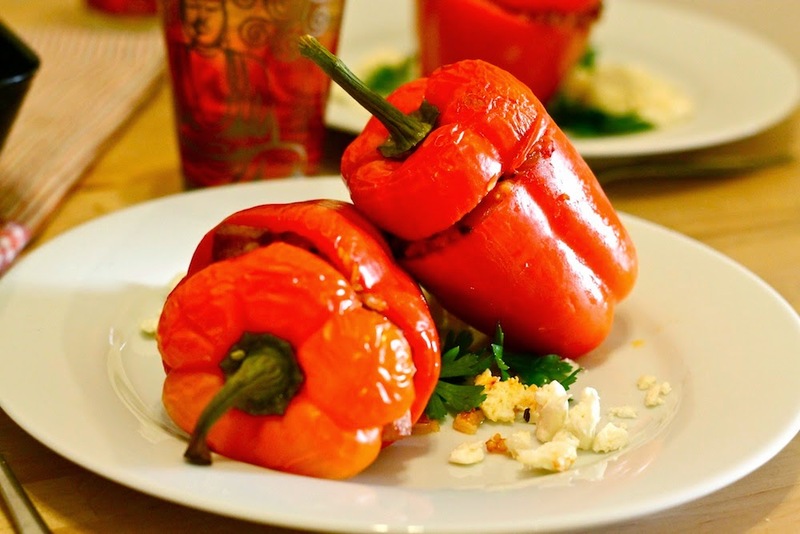 Personally I think that the cold autumn weather virtually screams for more colour on the plate, which is why I went for red and orange bell peppers. Put the rice in a pot and add so much water that the rice is about 1cm high covered with water. Bring to a boil, then reduce the heat and let simmer for about 8 to 10 minutes until the water has evaporated. Cube the tofu and chop two of the garlic cloves and the onion. Heat up some olive oil in a pot and brown the onion and the garlic for a few minutes. Add the paprika powder, the fennel seeds as well as tofu. After 4 to 5 minutes pour on the wine and boil until it's gone. 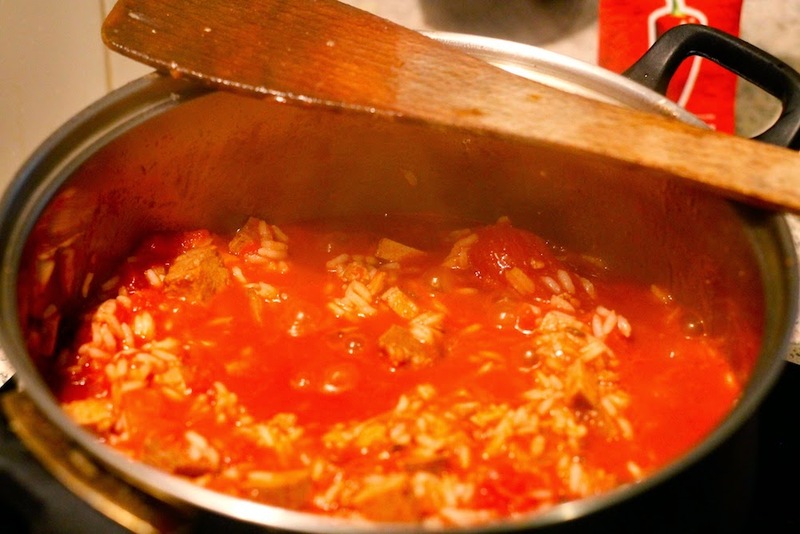 Add the tomatoes and the rice and cook over medium heat for about 10 to 15 minutes. Salt and pepper to taste and put aside. Heat up the oven to 200°C. Chop off the peppers' top and remove the centre and core. 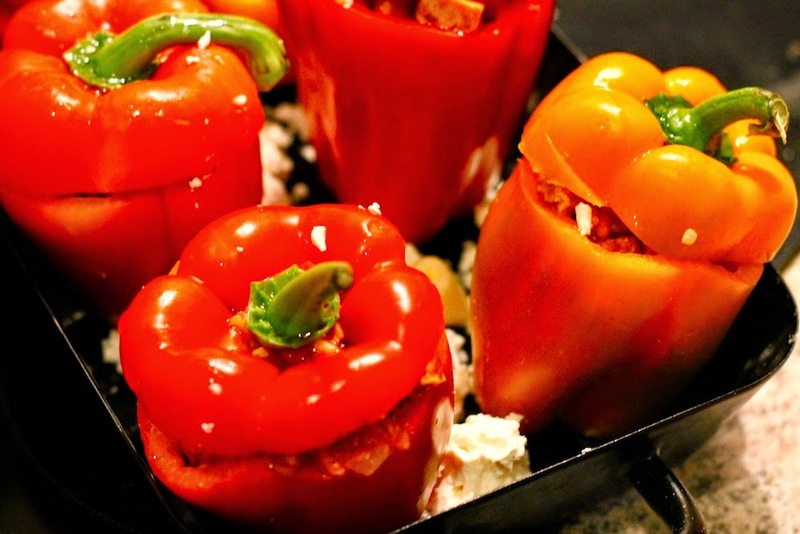 Put the peppers in a baking dish and stuff them with the rice-tomatoes-tofu-mixture. Sprinkle the peppers with some olive oil and the vinegar. Crumble the feta in the pan and add the remaining garlic cloves as well. Bake for about 25 to 30 minutes until the bell peppers are soft. 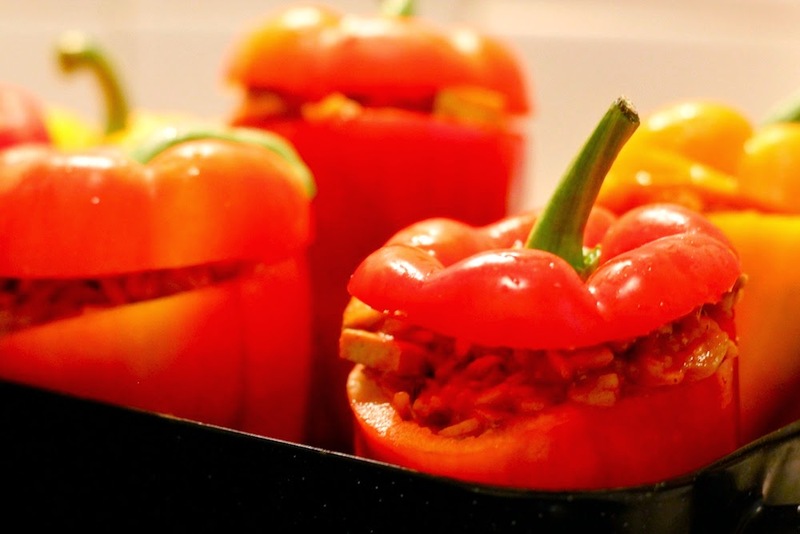 Garnish the soft peppers with some parsley leaves and enjoy! PS: This post is also shared at Miss Mandee's Create & Share Recipe Party. Danke für das Kompliment! :) Schönen Abend dir! Oh da kriegt man echt hunger. Danke für diesen Post, sieht super schmackhaft aus.